I don’t live above my means which is why I’m a huge fan of cheap cars that often break and love to off road (especially when they’re not designed to do so); basically anything that smells bad, has character and features natural weight reduction - aka rust - has my name written all over it. 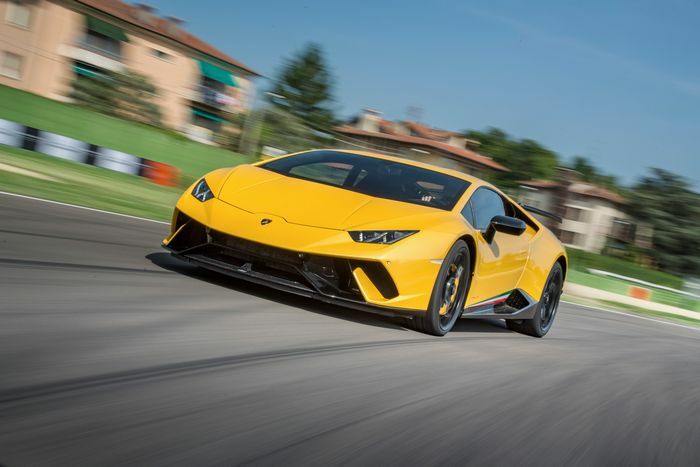 So when I received a launch invite from Lamborghini (Car Throttle’s first from the brand) to drive its new £200,000+ Huracan Performante, I was excited to accept, but at the same time, also a little bit sad because last weekend’s launch meant that I wouldn’t get to fit new brakes and track rod ends to my MX-5 as I’d planned (I know, WTF is wrong with me, right?). The track session was kicked off regardless of the weather and groups of three cars (led by an instructor in a standard Huracan) would show us the lines, set the pace, and then lead us back into the pits for the next group of cars to go out and play. After slipping into the driver’s seat of the 631bhp Performante, my nerves began to get the better of me. “What happens if I crash?” “Will people take me seriously if I can’t keep up with the pace?” were questions I was asking myself, but before I knew it, I was rolling down the pit lane for what would be my first lap of Imola. In the wet. In a car I’ve never driven. With a gradual build up of pace from the instructor on the first couple of laps, my fears had vanished. OK, so I was off the pace a bit, and my lines were pretty shocking, but these first few minutes behind the wheel unlocked an emotion I did’t know I had in me: and that’s love for something I’ll probably never be able to afford, nor be able to tinker with on the weekend: a supercar. It seems so clichéd to say it now, but never before have I felt so dialled in with a car, nor so mesmerised by the sound it makes; in this case, that’s a howling 5.2-litre V10 that breathes through a new pair of motorbike inspired exhausts. In fact, after only my first stint, I was overcome by joy to the point of tears. Seriously: driving the new Huracan Performante made my eyes leak and I’m not even embarrassed to admit it. With lap after lap of Imola under my belt and the massive Pirelli P Zero tyres on complete lock down with the tarmac, our instructor was able to push us harder and harder to the point where we were hustling him through the corners thanks to our cars’ active aero, increased power, beefed-up anti-roll bars and tweaked gearbox, along with a raft of small improvements that make the Performante a 6min 52.01sec Nurburgring lap hero; for context, that’s eight seconds faster than an Aventador SV and five seconds faster than a Porsche 918 Spyder. As our track time was coming to an end just before lunch, one more stint was offered. And this was to be the best track experience of my life, with our instructor pushing his standard Huracan to beyond its grip levels and us finding the limits of ours. 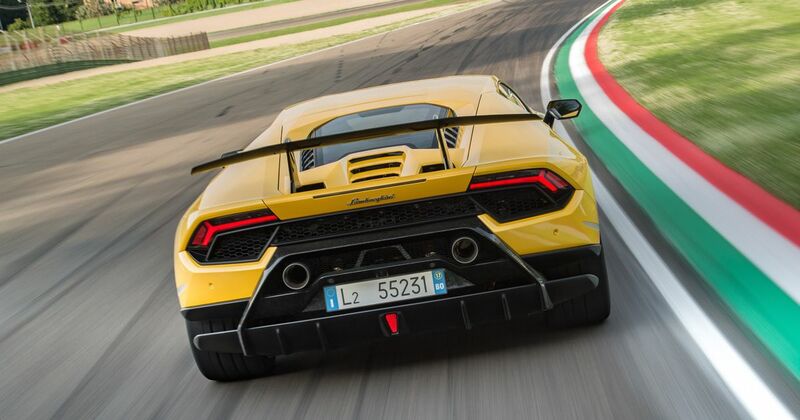 As a side note, the Performante’s active splitter, clever rear spoiler and four-wheel drive mean that grip is endless until you change down, hammer the throttle mid corner and begin to slide as if with your own body. 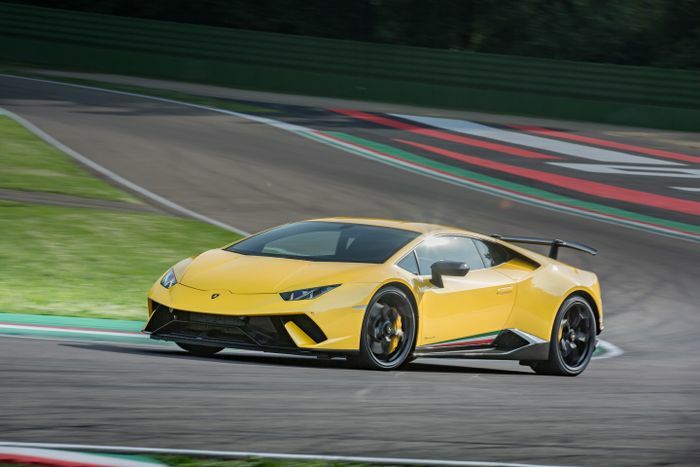 Of course, a race track can only tell you so much about a car, and keen not to be seduced by its performance alone, I took the Performante out into the mountains to find out if this fighter jet on wheels was just a one-trick bull. Of course, the Performante impressed like hell here too thanks to crisp turn-in, canyons of character, astonishing grip to violently slingshot you out of every corner, and an addictive engine and exhaust note that bounced off the mountain sides like fireworks. Even the Italian police stopped me to ask ‘if the car was OK?’ and to tell me that I was doing a ‘good job’. My experience with the Huracan Performante was one I’ll never forget. It rewired my brain, gave me an appreciation for something other than shitboxes and ultimately showed me that a modern machine can still fulfil the traditional ideal of a supercar - a big, unapologetic engine, huge noise, character and looks to stop everyone in their tracks - while not only matching, but exceeding modern performance targets. 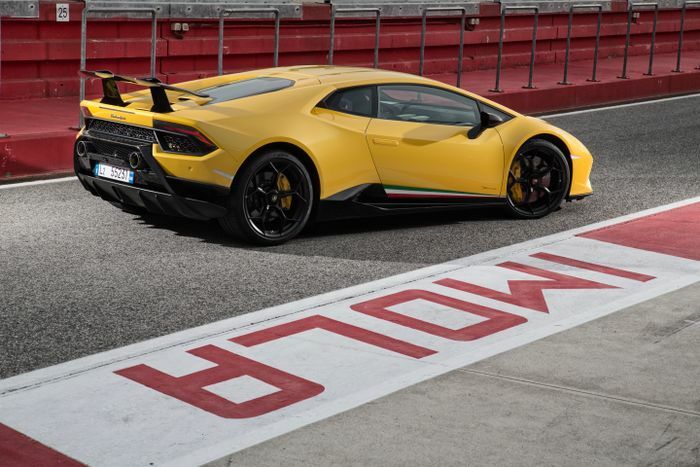 For me then, the Lamborghini Huracan Performante is not only the ultimate supercar, it is, to my mind at least, one of the greatest machines ever created.